Short web video on Dark Skies, produced by an East Hampton, NY environmental group, showing a retrofit of a local school and the impacts of light pollution on the environment, including the night sky. Our educational resources are PDF and Word documents that you can freely print and distribute. Links to codes, ordinances, and guides. Check out our image gallery, showing bad (and some good) examples of nighttime lighting. Our list of manufacturers and distributors of good lights. Use our lighting cost calculator to see how much you could save by switching to efficient, dark sky friendly lighting. 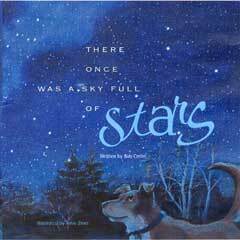 Bob Crelin's book "There Once Was a Sky Full of Stars" (available from Sky Publishing) is a great way to introduce light pollution and its impacts to children and adults alike.